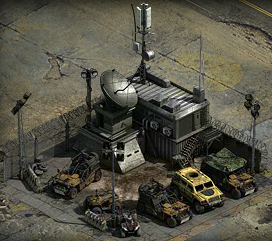 By leveling the Tracking center to Level 6, a commander can attack and/or control up to two Depots at one time. Maximum Depots lets a commander invest 30 Drill Instructors to add an additional 1 Depot over their current limit. All prerequisites must be met in addition to full training of Maximum Depots. The prospect of controlling 3 Depots seems attractive, however, the more you stretch your forces out, the harder it becomes to support multiple fronts. This is a recommended option for end-game scenarios, where a commander may want to reassign 30 Drill Instructors from Ration Consumption and place them into Maximum Depots. This is not recommended for beginners or commanders who cannot produce Firedrakes.